The Andrew Lownie Literary Agency Ltd, founded in 1988, is now one of the UK's leading literary agencies with some two hundred authors . It prides itself on its personal attention to its clients and specialises both in launching new writers and taking established writers to a new level of recognition. It is not currently taking on new fiction writers. Books represented have included: The Cambridge Guide to Literature in English: The Oxford Classical Dictionary; The Penguin Companion to the Edinburgh Union; Norma Major's history of Chequers; the memoirs of Sir John Mills, Alan Whicker, Gloria Hunniford, David Hasselhoff, Emily Lloyd, Kerry Katona and Patrick MacNee ; the best-selling fostering series by Cathy Glass and Casey Watson; Sam Faiers’ Living Life the Essex Way; Daniel Tammet’s international best-seller Born on a Blue Day; Laurence Gardner’s The Magdalene Legacy and The Shadow of Solomon, the literary estates of Joyce Cary and Julian MacLaren-Ross; the historians Juliet Barker, Roger Crowley, Tom Devine, Robert Hutchinson, Sean McMeekin, Linda Porter, Geoff Roberts ,Desmond Seward, David Stafford and Christian Wolmar; the wine writer Michael Schuster; crime writers, such as Mei Trow and David Roberts, and thriller writers such as Duncan Falconer. The agency sells directly to the US and Australia and uses various sub-agents for translation and film rights . It also places its authors as speakers at festivals and on cruise ships. 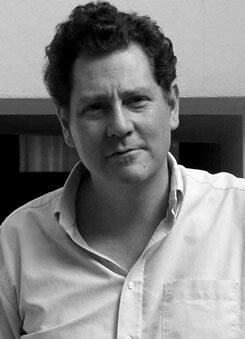 Andrew Lownie was born in 1961 and was educated in Britain and America. He read history at Magdalene College, Cambridge where he was President of the Union. He went on to gain an MSc at Edinburgh University and spend a year at the College of Law in London. After a period as a bookseller and journalist, he began his publishing career as the graduate trainee at Hodder & Stoughton. 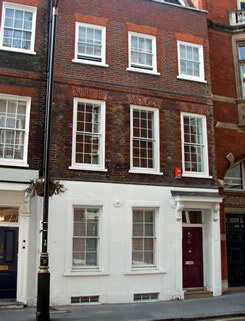 In 1985 became an agent at John Farquharson, now part of Curtis Brown, and the following year became the then youngest director in British publishing when he was appointed a director. He set up the Andrew Lownie Literary Agency in 1988. Since 1984 he has written and reviewed for a range of newspapers and magazines, including The Times, Spectator and Guardian, which has given him good journalistic contacts. As an author himself, most notably of a biography of John Buchan, a literary companion to Edinburgh and a prize-winning biography of the spy Guy Burgess, he has an understanding of the issues and problems affecting writers. He has acted as the literary agent to the international writers' organisation PEN. In 1998 he founded The Biographers Club, a monthly dining society for biographers and those involved in promoting biography, and The Biographers' Club Prize which supports first-time biographers. He has had a regular advice column in the writing magazine Words with Jam, written the entries on submitting to agents for The Writers Handbook and The Writers and Artists Yearbook, contributed to The Arvon Book of Life Writing and regularly gives talks on aspects of publishing.